Guys, keep the suggestions coming! We can use some more. Cool idea's Wolffy! But Home "Town" Wont work out i think because sly said they are trying to be different and not use the word "Town", Good idea's though wolffy! I am thinking of more names soon, but These are some of my suggestions at this moment! Ohhh! I like Chrip MC . It does sound like chirp ali xD. I thought of 125 name's xD. 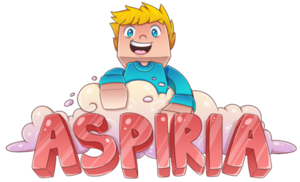 I don't have much ideas, but I think SpringCraft would be a great name. BiG When are you picking a name out? I posted about 130 name's xD. Deadline is 31st, but I would suggest creating more names as currently nothing looks too interesting (there are a couple, but we need more ). Ok! i will think of thing's Right now BiG! Lol i was post Number 100 xD. I just added some really cool sounding name's to my other post, Post 17.